For more than 30 years, Mike Sells worked as an elementary and secondary-school teacher in the Everett School District. 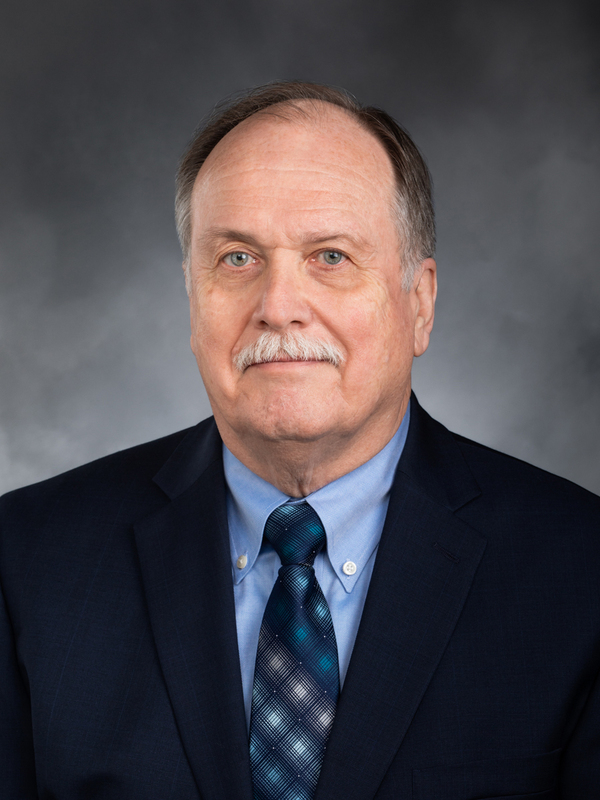 With that experience, coupled with his leadership of the Everett Education Association and service as a trustee at Central Washington University, Sells brings a wealth of information on the education needs of the state to the Legislature. He knows that jobs and education are key to building a strong economy, so he continues to push for investments in our schools and workforce training. Through legislative action, he was the leading force to making the Washington Aerospace Training and Research Center at Paine Field a reality. Likewise, he succeeded in bringing a Bachelor of Science nursing program to Everett Community College University Center and WSU Everett. First elected in 2004, Rep. Mike Sells currently chairs the Labor and Workplace Standards Committee, tasked, among other things, with developing strategies to align worker training with emerging industries. He has been married since 1971 to Gayle Stevens Sells, a piano teacher, and they have two grown children, Andy and Amy. Graduated from Central Washington University with a BA in Education, majored in History with a minor in Geography, in 1967. Fifth-Year Teacher Certification through the University of Washington in 1971. Served as the elected Secretary-Treasurer of the Snohomish County Labor Council, AFL/CIO. This became a full-time position in 1998. The organization is the co-ordinating body for 65 different AFL/CIO unions in Snohomish County, representing more than 42,000 working people. Served as the President of the Everett Education Association, which is elected on an annual basis. The position started out as half-time, with the other half-time spent in the classroom. By the early 1990s, it became a full-time position. From 1969 to 1980, served as President of the Everett Federation of Teachers, Local 772, AFL/CIO. The EFT was merged with the EEA in 1981. Worked as a teacher in Everett School District #2 at both the elementary and secondary level. I taught at North Junior High (now middle school), Jackson Elementary, Evergreen Middle School, the Youth Resource Center (Juvenile Parole Services), and Phoenix Alternative High School. Served on the Everett Housing Authority Board which oversees the Federal Housing programs in the City of Everett. Appointment was made by the Mayor of the City of Everett, and approved by City Council. I am currently the Vice Chair, and have served three terms as chair of the Board. Served on the Central Washington University Board of Trustees where I am currently the Vice Chair. I was appointed by Governor Lowry, and reappointed by Governor Locke for a second term in 2000. Oversight of the budget. City of Everett Salary Commission (1998). Snohomish County United Way and Executive Board (mid 80’s. Served as one of the vice presidents in 1985. Washington State Temporary Special Levy Study Commission appointed by Governor Evans (1972-1973). Washington State Governor’s Citizen’s Advisory Committee appointed by Governor Lowry (1992-1993). Snohomish County Needs Assessment on Housing (early 1990s, co-chaired with County Executive Bob Drewel). Snohomish County Executive’s Citizens’ Cabinet appointed by County Executive (2004). Democratic Precinct Committee Officer (early 1980s until 1985). Everett Public Library Strategic Planning Committee (2004). Everett Area Chamber of Commerce Board (1992-1993). Central Washington University Alumni Association.